The Accredited Collection Facility Program, administered by the Drug & Alcohol Testing Industry Association (DATIA), was created by quality-minded leaders in the drug and alcohol testing industry interested in raising the level of accuracy in urine specimen collections. The program enables collection facilities to assure their clients that they are committed to offering superior collection services. For some entities, like the United States Coast Guard (USCG), its employees must be drug tested by a company with ACF status. The Accredited Collection Facility Program involves upholding the highest professional standards in the following two main areas: 1) the collection facility and its operation and 2) the collection facility's personnel. To obtain accredited status, collection facilities are required to adhere to strict standards in areas such as regulatory compliance, company services standards, specimen handling, operational practices, business ethics, and facility equipment. All accredited collection facilities are also required to maintain a staff of Certified Professional Collectors that are formally trained in DATIA's Collector Training Course or that received training from the CPCT on their staff and successfully completed the DATIA Certification Exam. What is the Collector Training Course? The most crucial aspect of the Accredited Collection Facility Program is the Collector Training Course. In an effort to raise the level of accuracy and the quality of specimen collections, DATIA designed a comprehensive collector training course that covers all aspects of the collection process for both Department of Transportation (DOT) and non-DOT collections. Course participants will master proper collection procedures from completing the Chain of Custody Form to handling difficult collection situations. To make the training program cost effective and accessible to all collectors, DATIA has two options for collector training. 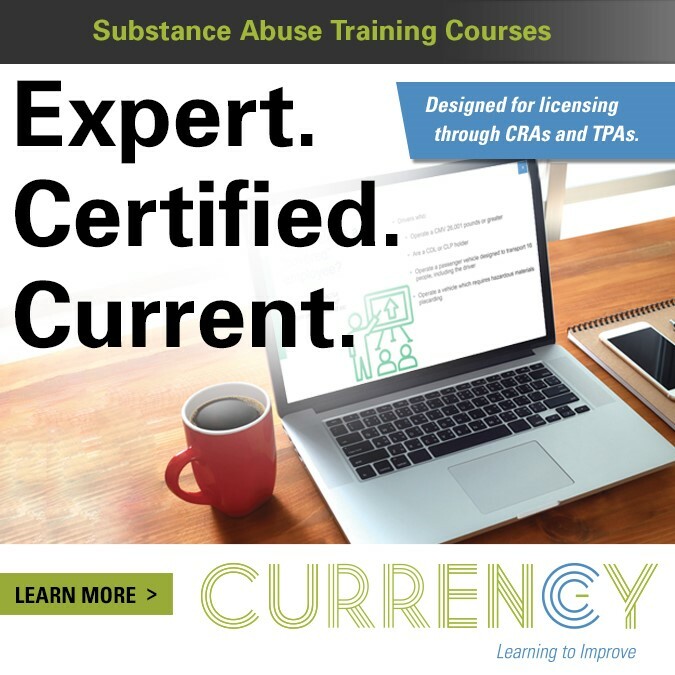 The first is our "train the trainer" course, which allows collection facilities to send just one employee to be trained as the site's Certified Professional Collector Trainer (CPCT). The CPCT is then responsible for returning to his/her facility and training the facility's other collectors. Individuals completing the "Certified Professional Collector Trainer" training course will be awarded the Certified Professional Collector Trainer (CPCT) designation, which is valid through June 1 of each year. This designation remains with the employee regardless of their place of employment. The fee is $329 per DATIA-member participant (or $429 per non-DATIA member) for a full day of training. The renewal of the Certified Professional Collector Trainer designation is $95 annually, and the CPCT must take and pass the Certified Professional Collector™Exam for their CPCT designation to be renewed. Collectors receiving training from a Certified Professional Collector Trainer (CPCT) will be awarded Certified Professional Collector (CPC) designation upon successful completion of their training and the DATIA Certified Professional Collector Exam. This designation is valid for one year and remains with the employee regardless of their place of employment. The fee for exam administration and the CPC designation is based on a tier rate structure. This tier is based on the number of collectors that each company registers for certification. The Department of Transportation has identified the collection process as the weakest link in the drug testing process. The Accredited Collection Facility Program seeks to strengthen this weak link by ensuring that Accredited Collection Facilities employ highly trained collectors who are educated in federal drug testing guidelines and procedures. 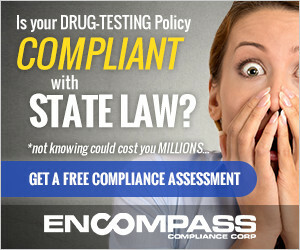 In fact, the United States Coast Guard (USCG) requires that its employees be drug tested by a company with ACF status. 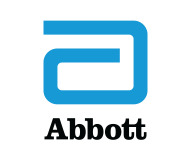 The Accreditation program will allow for an improvement in the working relationship between laboratories, medical review officers, consortia/third party administrators, and collection facilities. When specific areas of error in the collection process are identified, DATIA will act as a resource to inform the industry and develop solutions to the problems. 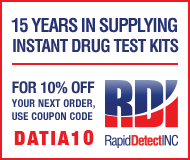 One of the most frustrating and costly aspects of workplace drug testing is the high incidence of rejected specimens due to errors at the collection site. The Accredited Collection Facility Program will help laboratories, MROs, C/TPAs, and employers identify collection facilities that are committed to offering high quality collection services. The Accreditation Program requires a full day of comprehensive collector training, as well as periodic retraining. Use of an Accredited Collection Facility staffed with well trained collectors will reduce the number of rejected specimens, thereby saving everyone time and resources. To be eligible for accreditation, applicants must be an active drug testing collection facility. For organizations that have multiple facilities, each facility must apply for accreditation separately. Membership in DATIA is not required for participation in this program. 1) Collection Supervisor attends DATIA Certified Professional Collector Trainer training course, and upon successful completion, receives Certified Professional Collector Trainer (CPCT) designation. 2) Facility's CPCT trains remainder of collection personnel at the facility (may also train employees at your company locations within 100 miles), and registers them to take the certification examination through DATIA or by registering the collectors online. 3) Each trained employee successfully completes the DATIA Certified Professional Collector exam and is awarded Certified Professional Collector (CPC) designation. 4) Applicant completes accreditation application, enclosing certificates and other documentation. Please submit one application per location as accreditation is location based, NOT company-wide. 5) DATIA evaluates application to ensure completion and grants accreditation, including plaque, press release, stat sheet, and decal. There is no fee for Accreditation of the collection facility. Once a facility has met all requirements as outlined on the Accreditation Application they are granted Accredited Collection Facility Status. Each site need only submit an application to DATIA with verification that the requirements have been met. Participation in the Accredited Collection Facility Program allows a collection facility, which satisfactorily earns and maintains its accredited status, the right and obligation to display the Accredited Collection Facility Plaque, where it can be seen by clients. Upon successful completion of the accreditation process, collection facilities will be able to use the Accredited Logo on company stationary, business cards, and other promotional materials. 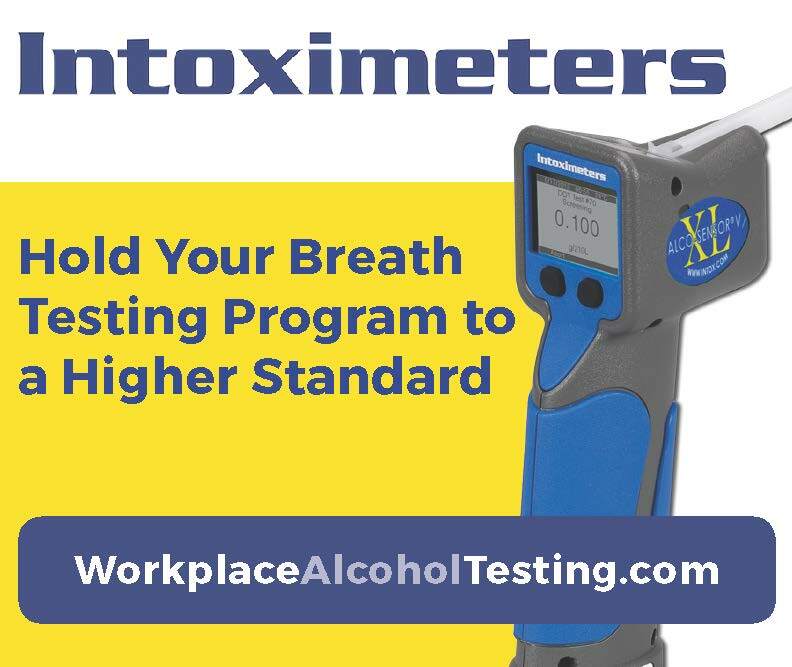 Use of the Accredited Logo identifies your collection facility as one that upholds the highest professional standards in the drug and alcohol testing industry. Non-accredited collection facilities are strictly prohibited from using the logo. Accredited collection facilities will also receive an accredited decal to affix to their storefront window. This decal makes it easy for current and potential clients to recognize your collection facility as one that is committed to excellence in collection services. **For more valuable information on accreditation, please download our brochure.